All India Institute Of Medical Sciences AIIMS Delhi Junior Resident Recruitment Notification 2018-19 is published @ www.aiimsexams.org. Apply 42 Junior Resident Non-Academic Vacancies before 06 Sep 2018 09:30 AM. Online Application is from 20 Aug 2018 and catches the totally details related to AIIMS Delhi Jr Recruitment Notification at here. The All India Institute Of Medical Sciences AIIMS New Delhi invited the Online Registration to hire 42 Junior Resident Non-Academic Posts. Wishing candiadtes have to verify the AIIMS Delhi Junior Resident Recruitment Official Notification link which is attached below from the bottom of the page. Candidates must have to start the Online Applications format from 20 Aug 2018 We attached here to this site the Prescribed format Online Application form. So, you can directly start to fill the Details to the AIIMS New Delhi Recruitment Board. For this Recruitment, Candiadtes must pass the MBBS from the recognized university. 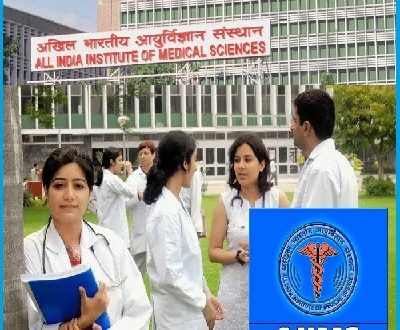 Yes, the AIIMS Delhi board has offered the 42 AIIMS Delhi Vacancies of Junior Resident jobs to job seekers who are looking jobs in Delhi location on the side of Medical Field. Look the provided links in the below section, and start to downlaod the Delhi AIIMS Notiifcation and register on it now. Here, in this AIIMS New Delhi Recruitment 2018 To fill up the 42 Junior Resident posts. For this Recruitment, Candidates must pass MBBS or equivalent degree recognized by Medical Council of India MCI/ Dental Council of India DCI Board between 01st Jan 2015 To 31st Dec 2017. The Selection process purely based on the Interview. Who performs well during the Interview Process they are finalized in the Recruitment. The candidates who passed the MBBS with the Internship also eligible for the 192 AIIMS Junior Resident Vacancy. All must complete the Application without any mistakes. Venue Of Interview Jawaharlal Auditorium/ Conference Hall, AIIMS, New Delhi. The complete qualifications for AIIMS Delhi Junior Resident Recruitment notification as per the job wise. All India Institute Of Medical Sciences AIIMS Junior resident with Non-Academic Recruitment Application form for the January Session will be shortlisted based on the Applications. All eligible candidates would be called for the Counselling. The list of candidates will be displayed on the Notice Board. Participants can check the List out on 06 Sep 2018 09:30 AM. Here the Candidates have to face the Final Round it will be very soon. It is one of the Great chance for the Contenders to get placed in AIIMS Organisation. So, don’t miss use the AIIMS Jr Resident Recruitment. Verify all the required information which is already mentioned in this article. If you are really interested to join in the AIIMS Jr Resident Recruitment Process then, Ready for the Participation for the Interview Session. Here you have huge vacancies in the Different Departments. Be confident at the Recruiter. Thye asked the Questions which is related to the Posts. So, prepare well in all aspects while going to the Interview. The Shortlisted candidates can earn the excellent payslip. All should be remember that there is only source to intimate any official updates through the www.aiims.edu & www.aiims.ac.in. So, all you can stick on this page, we give them up to a minute of the information relating to the AIIMS Recruitment 2018. Where is the area where we have to submit our application form ?